In 1884, a five-year-old boy was lying ill in bed with glandular fever. His father gave him a compass and a magnet to play with and thought nothing more of it. Just another boy playing with a compass like so many others had before and since. Yet this one event would change the lives of everyone today, from 747 aircraft to DVDs and cell phones. And so it is, our simple acts may have profound consequences without us ever knowing. The small boy was of course Time Magazine’s "Person of the Century" - Albert Einstein and in discovering that he could move the compass needle without actually touching it, this child saw mystery where others saw none. 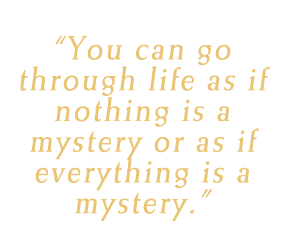 That sense of mystery stayed with Einstein throughout his life and led him to discoveries that shape our lives today. 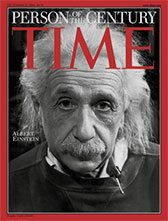 Einstein sought to "read the mind of god". He was the Grand Wizard of mathematics and his vision underpinned his personal life, his moral code and his science.